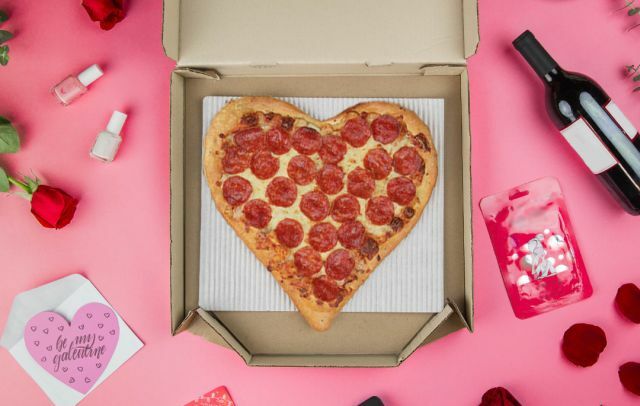 The Heart-Shaped Pizza is back on the menu at Pizza Hut in time for 2019's Valentine's Day. The limited-time pizza features a medium, heart-shaped, hand-tossed crust that comes uncut and can be topped however you like. You can order one by itself or get one as part of a Valentine's Bundle that also includes a choice of either a Hershey's Triple Chocolate Brownie or Ultimate Hershey's Chocolate Chip Cookie. Prices vary with location but a 1-topping Heart-Shaped Pizza goes for $13.99 in my area, while the bundle is $18.99.